- The Dune saga, set in the distant future and taking place over millennia, deals with themes such as human survival and evolution, ecology, and the intersection of religion, politics and power. 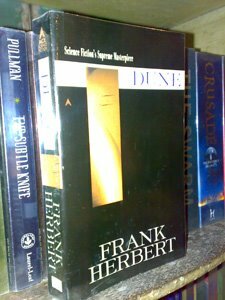 - Dune itself is the "best-selling science fiction novel of all time," and the series is widely considered to be among the classics in the genre. - The first edition of Dune is one of the most notable and valuable first editions in science fiction book collecting, and copies have gone for in excess of $10,000 at auction. Here is the novel that will be forever considered a triumph of the imagination. Set on the desert planet Arrakis, DUNE is the story of the boy Paul Atreides, who would become the mysterious man known as Muad’Dib. He would avenge the traitorous plot against his noble family—and would bring to fruition humankind’s most ancient and unattainable dream. A stunning blend of adventure and mysticism, environmentalism and politics, DUNE formed the basis of what is undoubtedly the grandest epic in science fiction. 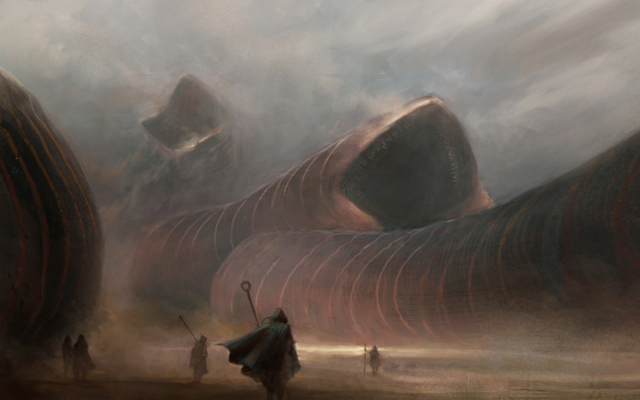 Dune is one of the most famous science fiction novels ever written, and deservedly so. The setting is elaborate and ornate, the plot labyrinthine, the adventures exciting. Five sequels follow.